Ford today unveiled the long-anticipated 2020 Shelby GT500 Mustang. The pinnacle of Mustang performance will have a hand-built supercharged 5.2-liter V8 engine producing more than 700 horsepower. The new Mustang utilizes a dual-clutch 7-speed transmission capable of shifts in less than 1/10th of a second. The transmission can run fully automatic, semi-automatic paddle shift, and full manual paddle shift. 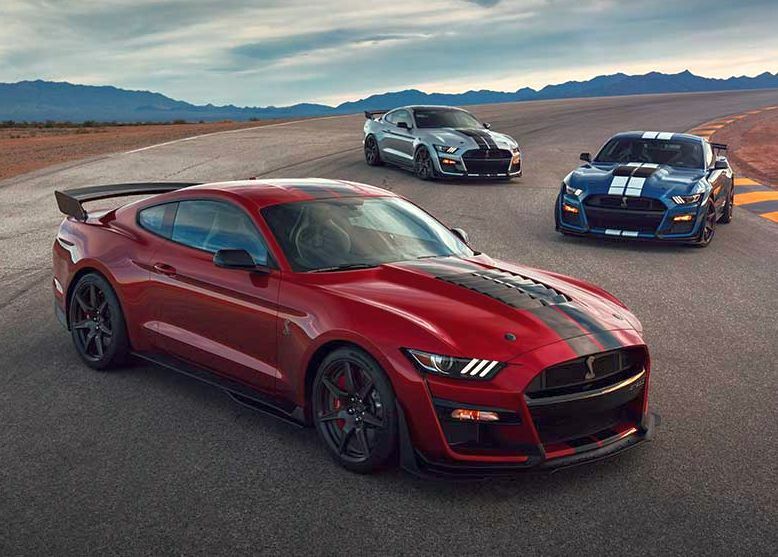 The Shelby GT500 carries over Track Apps with line lock and launch control so expect to see them on drag strips turning sub-11 second quarter-mile times, and 0-60 in the mid-three second range. Shelby GT 500 goes next level on the track, with the largest (16.5-inch) Brembo front brakes in any sports coupe built in America, tailored Ford Performance-spec Michelin Pilot Sport Cup 2 track tires available on 20- x 11-inch carbon fiber wheels. Track-designed aerodynamics increase powertrain cooling by 50%, reduce front-end lift, add rear downforce via an adjustable carbon fiber track wing, and create minimal increases in drag. The Ford Performance team also refined chassis geometry at track speeds exceeding 180 mph. Inside, drivers will enjoy a high-tech driving experience with advanced drive modes, SYNC 3 system, carbon fiber trim accents and available leather-trimmed Recaro performance seating and 12-inch full color LCD instrument panel. A fully active exhaust system brings on the power, and keeps things quiet when needed. 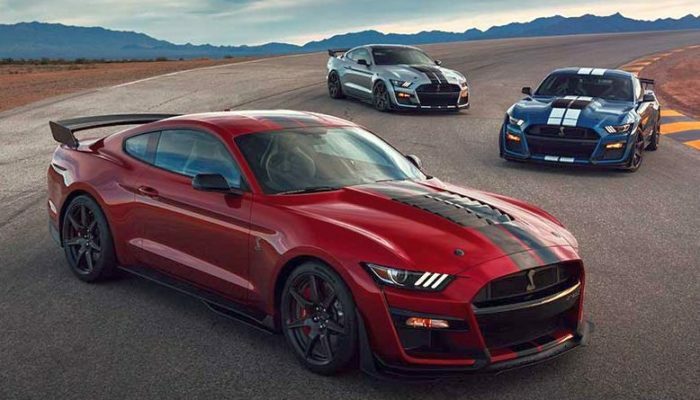 The result is a Mustang that will truly lead the muscle car segment, taking Mustang to supercar status with a car that delivers world-class power, performance and refinement unmatched in its class. Final performance specifications and pricing will be available nearer the fall 2019 on-sale date.